Alongside the all new 7.9″ iPad Mini, Apple also announced the 4th generation iPad with Retina Display that packs a faster processing chip, a Lightning dock connector, FaceTime HD camera and supports LTE globally. 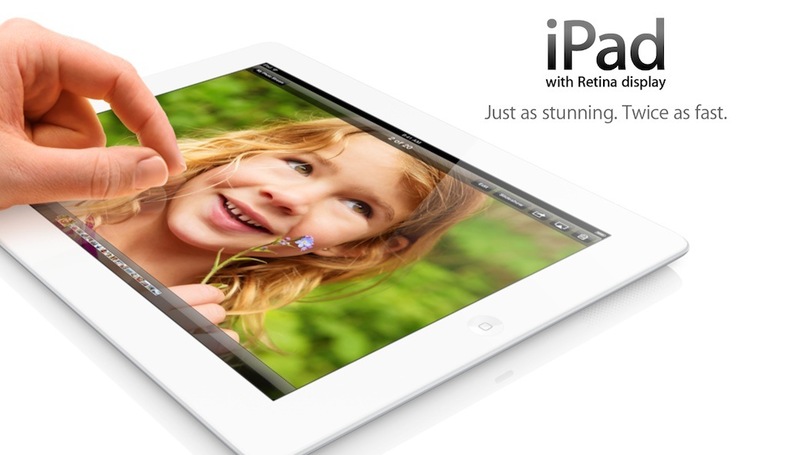 Pricing and configuration remains the same as the 3rd generation iPad. Full details after the jump. The 4th generation iPad improves on the previous version with a new A6X processor which according to Apple, is up to twice as fast as the previous-generation A5X chip, and delivers up to twice the graphics performance. 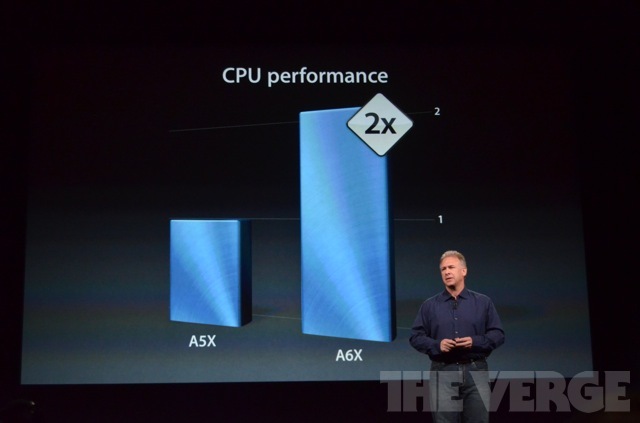 The new A6X processor features improved image signal processing that makes the photos and videos taken with the 5-megapixel iSight camera look sharper and even better on Retina display. 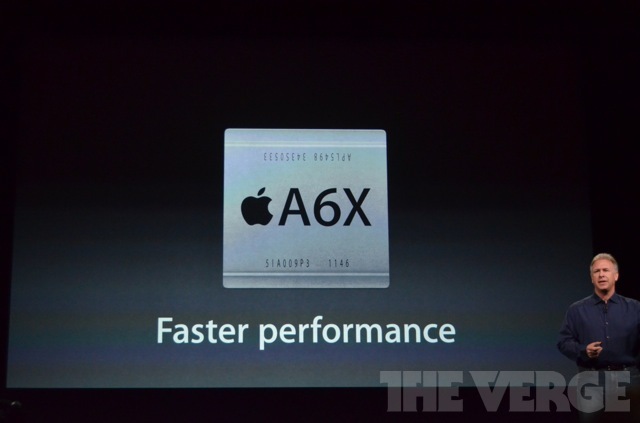 Other enhancements include FaceTime HD camera at the front, global LTE support and Lightning dock connector. It is available in black and white colours like the previous generation. 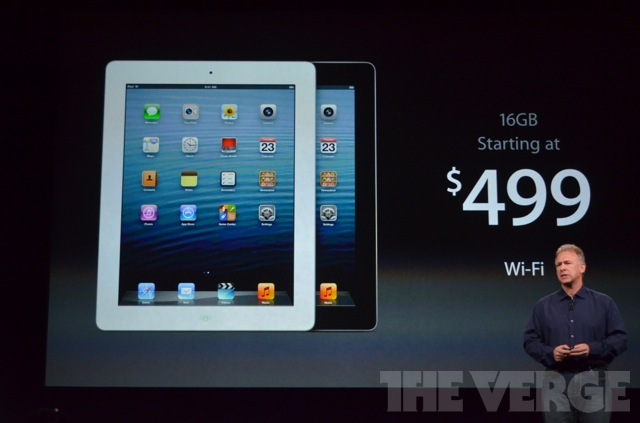 Prices and configurations are also the same as the 3rd generation iPad. 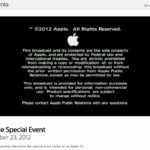 Like the iPad Mini, 4th generation iPad with Retina Display will be available on November 2nd (Wi-Fi Only versions) with pre-orders starting on Friday, 26th. Wi-Fi +LTE versions will start shipping a couple of weeks after the Wi-Fi models.